2.5 miles of concrete and steel inside and outside of Evansville’s Ford Center. Running, climbing, and crawling over stairs and obstacles in and around the arena facility. Saturday, July 9th, 2016. Registration starts at $30. 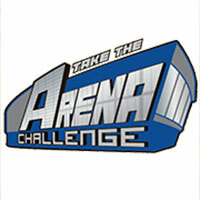 NEW THIS YEAR – it’s an Ultimate Arena Challenge! A longer course that adds in the historic Victory Theatre. More distance, more obstacles, and even MORE STAIRS! Packet pickup begins at 8am. Wave starts will begin at 9am in front of the building and then every 15 minutes after that. Participants will be timed. Doors open at 8am. After your wave, grab a seat in the spectator area and see how others handle the course. Food and beverages will be available for purchase. A second run of either course will be available for an additional $10.